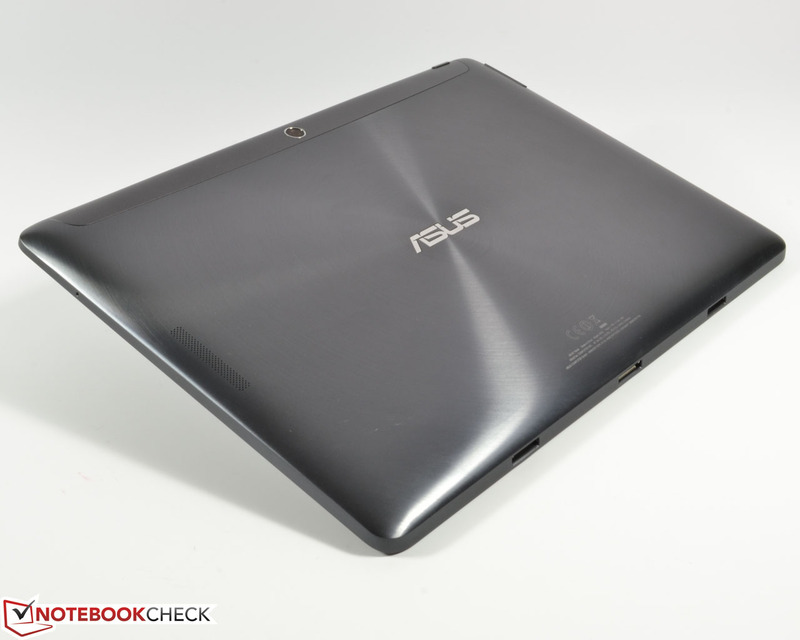 A high-resolution 10-inch IPS display with 2560x1600 pixels, a powerful Nvidia Tegra 4 SoC with a clock of 1.9 GHz that is supported by a generous 2 GB of RAM, either 32 or 64 GB internal flash storage and a keyboard dock with an additional battery – Asus did not save any money and equipped the tablet with impressive hardware. 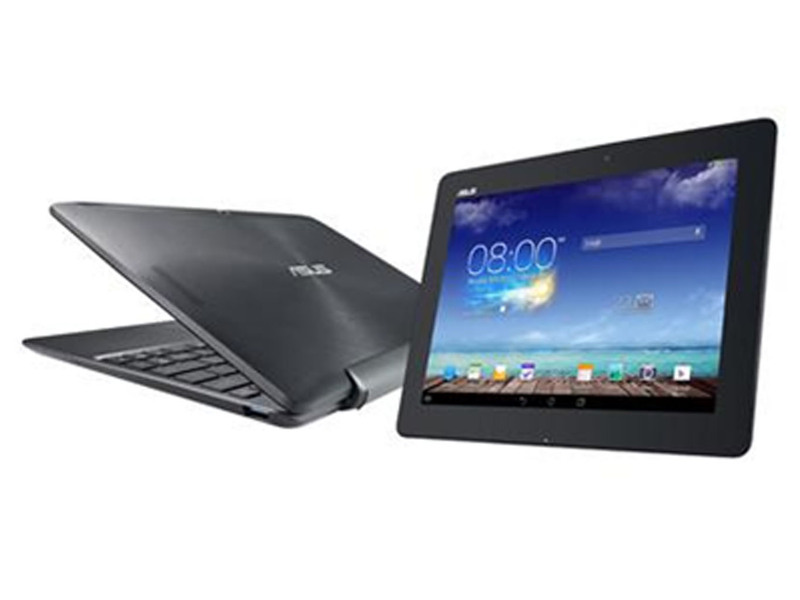 The Transformer Pad TF701T 32 GB from the manufacturer Asus offers everything money can buy and is currently available for around 500 Euros (~$696). You can also get the Transformer Pad TF701T without the keyboard dock for 50 Euros (~$69) less. 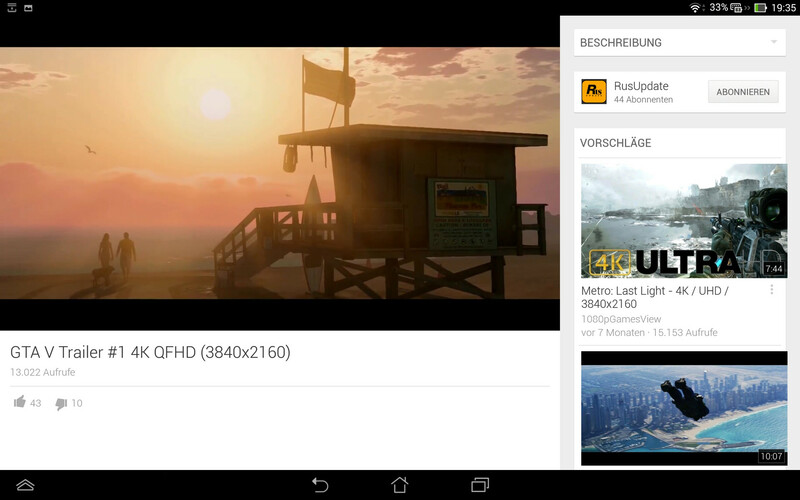 Asus did not yet announce whether the 64 GB version will be available in Germany. 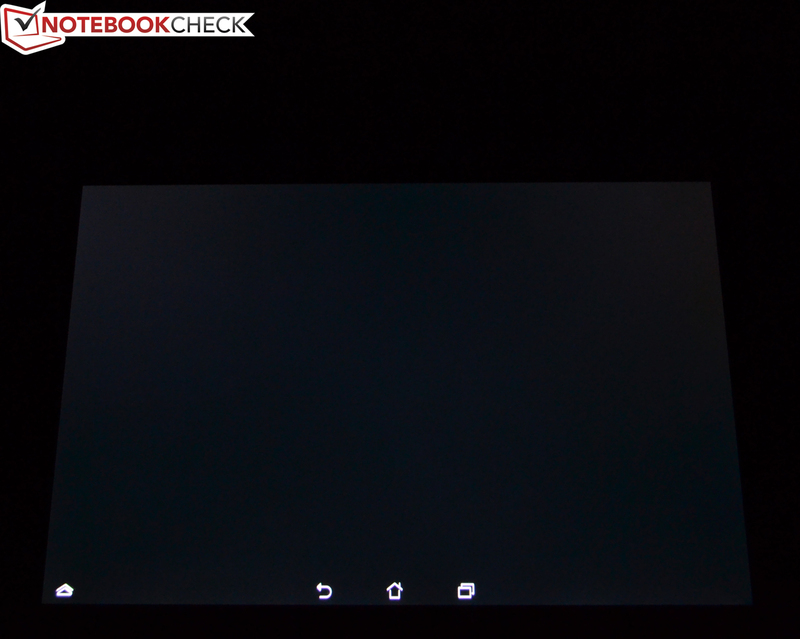 We were completely convinced by the predecessor Asus Transformer Pad TF700T, but can the redesigned flagship tablet get a great score once again? 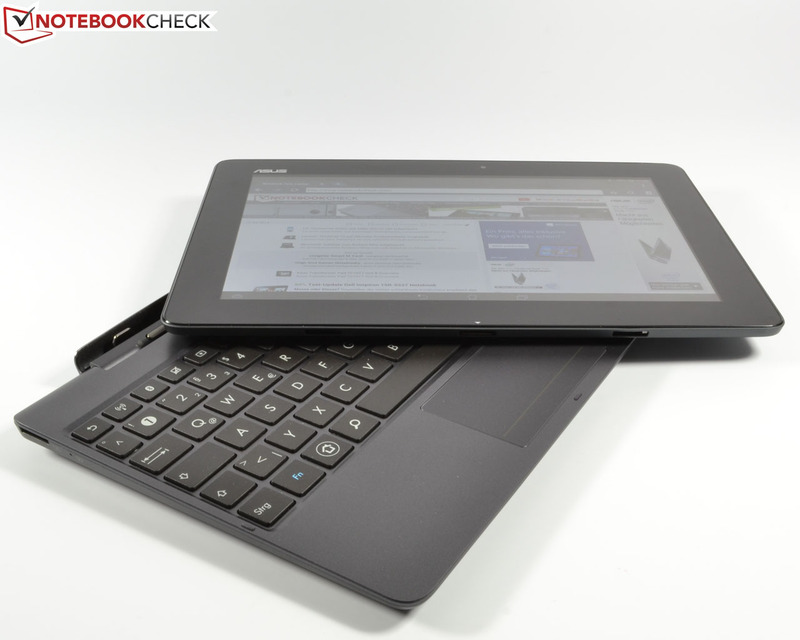 Our comparison includes several tablets that are direct rivals of the Transformer Pad TF701T. For example: Apple iPad Air, Gigaset QV1030, HP Slate 8 Pro 7600eg or Samsung Galaxy Tab Pro 10.1, which was refreshed just a while ago. The case is made of polycarbonate and aluminum, respectively. 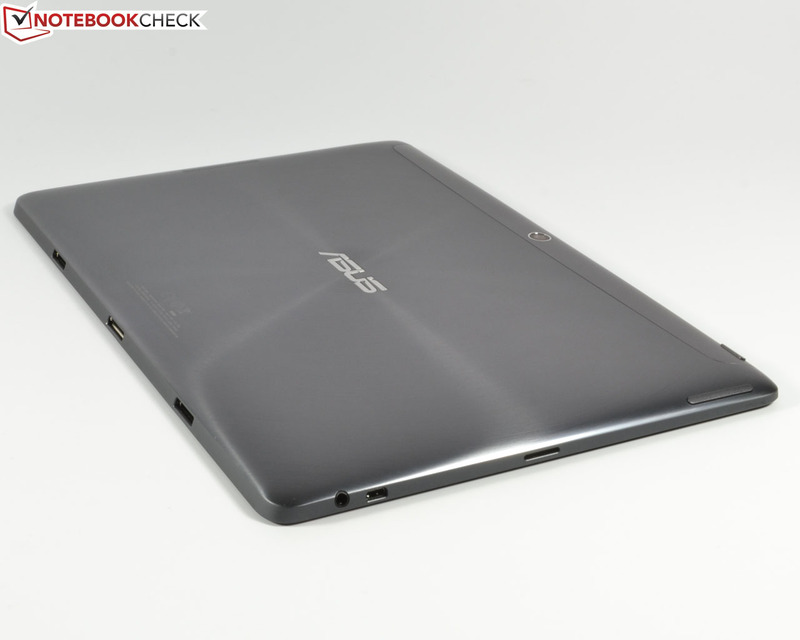 The case of the Asus Transformer Pad TF701T is primarily made of sturdy aluminum. The display is protected by a dirt-repellant layer of Corning's Gorilla Glass, which improves the gliding capabilities as well. The result is a very good torsion resistance. A thin polycarbonate strip at the top of the back cover ensures a decent WLAN signal that is not affected by the aluminum back cover. The overall build quality is decent, consistent gaps and well-integrated ports support this impression. With dimensions of 263 x 180.8 mm and a height of 8.9 mm (18.9 mm with the keyboard dock), the Transformer Pad TF701T is one of the biggest devices within the comparison. Compared to the predecessor Transformer Pad TF700T, the review device is 14 mm thinner and now weighs 584 grams. Some competitors are noticeably lighter, only the Gigaset QV1030 is heavier. The keyboard dock is made of polycarbonate and weighs another 578 grams. The build quality is once again very good, although the keyboard dock is not quite as torsion-resistant. The overall weight of 1162 grams is comparable to some subnotebooks, for instance the Apple MacBook Air 11, but our review unit should be superior in terms of battery runtimes thanks to the additional battery of the dock. As usual for tablets, the maintainability and upgradability are very limited: You cannot open the tablet, only the internal storage can be upgraded by micro SD cards (up to 128 GB) in the device itself or memory sticks and SD cards at the dock. 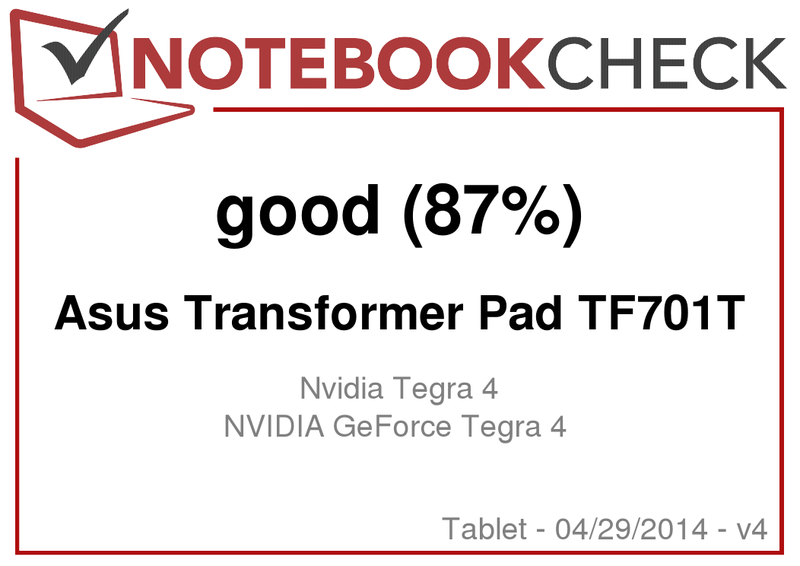 The Transformer Pad TF701T is powered by an Nvidia Tegra 4 SoC with a clock of 1.9 GHz including a GeForce GPU, all of which is supported by 2 GB memory. The CPU is excellent in its class, but the display even goes one step further. The 10.1-inch IPS display has a very high resolution of 2560x1600 pixels and even surpasses the Retina display of the Apple iPad Air. Our review unit has 32 GB internal storage – it can be expanded up to 128 GB via micro SD or SD cards. Furthermore, the review unit has a micro HDMI port for external displays and one USB 3.0 port at the keyboard dock. Unfortunately, the tablet itself does not have a micro USB port, so you will have to use the provided cable with the proprietary connector. The Asus Transformer Pad TF701T is shipped with Android 4.3 Jelly Bean, and an update to version 4.4 KitKat was not yet announced. 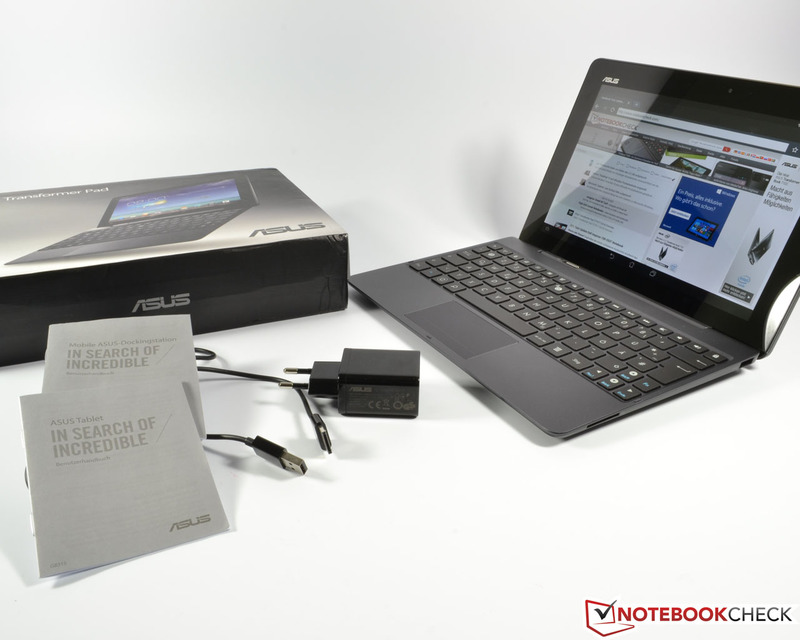 Similar to the predecessor Transformer TF700T, Asus once again uses a customized user interface, which is just a slightly modified version of stock Android. Asus also installs useful software additions, for instance, its own password manager App Lock, a simple file manager or Polaris Office, YouTube and all important Google apps. You also get the option to launch some apps in the Floating App mode, some kind of multitasking for the browser, calculator and other apps. GPS in combination with aluminum cases usually results in problems. 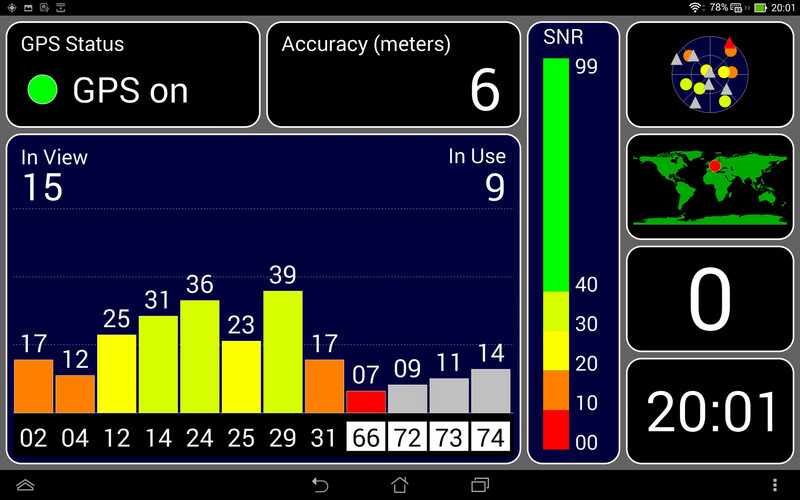 However, the predecessor Asus Transformer Pad TF700T had no issues with the GPS signal, and our review unit has no problems, either. We even got a signal indoors, but the accuracy of the Transformer Pad TF701T is even better outdoors. The wireless equipment with 802.11 a/b/g/n WLAN, Bluetooth 3.0+EDR as well as Miracast support is complete. A version with UMTS or LTE was not yet announced. The performance of the WLAN module is good; our review unit still had a decent signal through several walls and with a distance of around 10 meters from the router. The Transformer Pad TF701T has a 1.2 MP webcam (videos at 720p), a main camera with a resolution of 5 MP (videos at 1080p) and an auto focus. Asus waived the LED flash from the Transformer Pad Infinity TF700T, but that is not really a problem when you consider the bad performance. 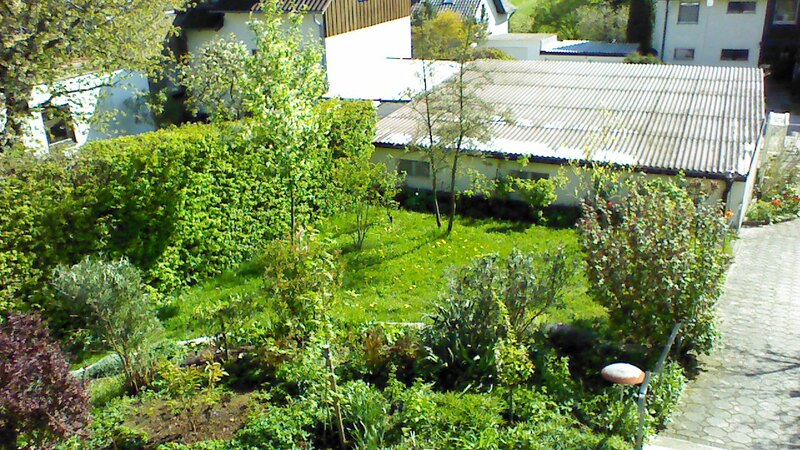 Due to the low resolution and the location, the webcam is only suited for video chats. Pictures look blurry and washed-out, and the colors heavily deviate from the original. However, the main camera takes decent snapshots – as long as the lighting conditions are okay. You will, however, have to live with slightly deviated colors, a low sharpness and visible picture noise. 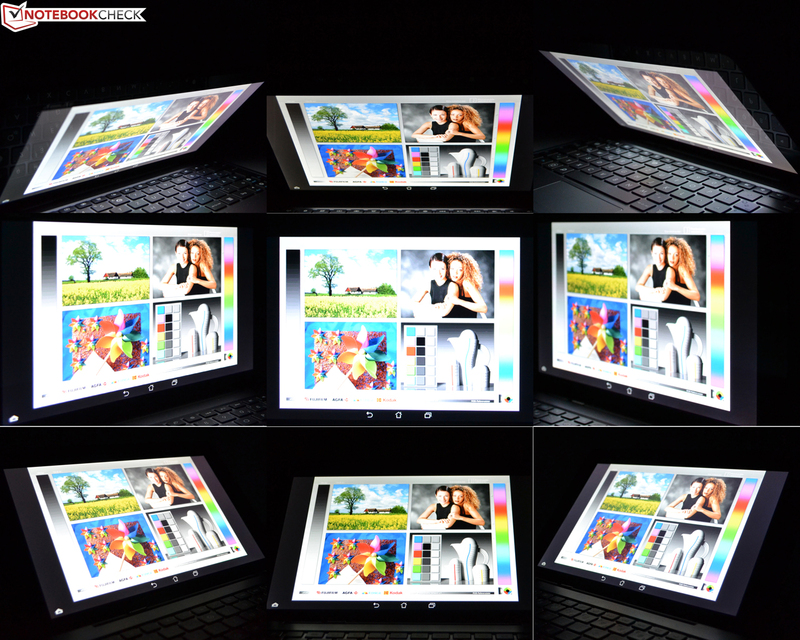 Similar to other tablet cameras, the picture quality depends on the lighting conditions. Our review unit has a keyboard dock, but it is also available without this useful accessory. In addition to an Audio Dock and other accessories, you can also get a protective cover called TransCover with an included stand for 39 Euros (~$54). 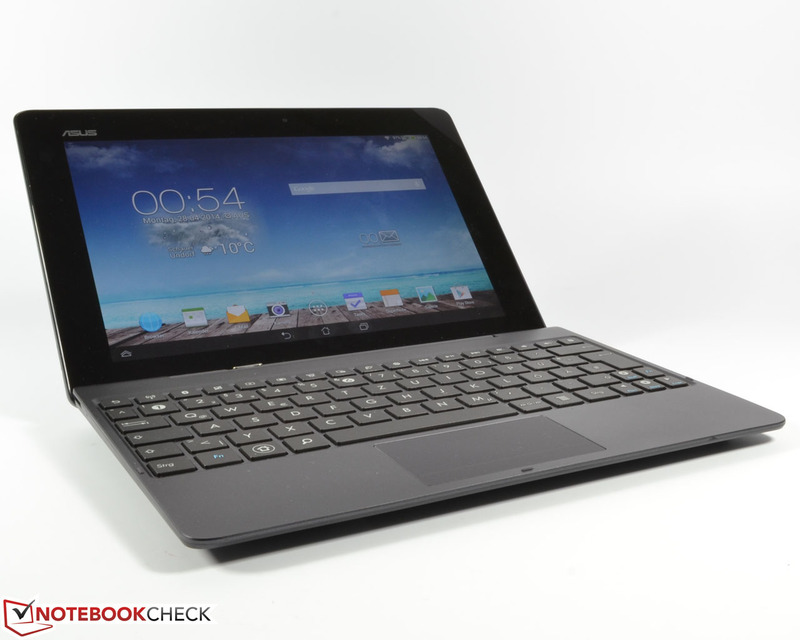 Asus grants a warranty of 24 months for the Transformer Pad TF701T. An optional extension or upgrade is not available. 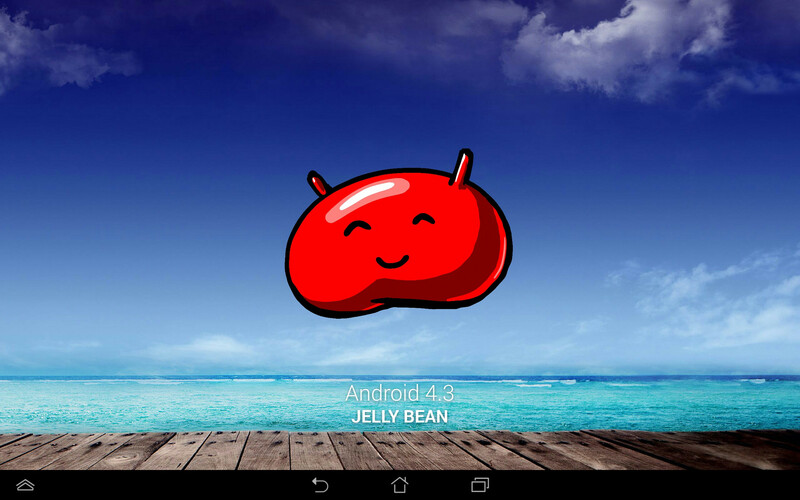 Operating the device with up to 10 fingers via touchscreen works intuitively and fast with Android 4.3 Jelly Bean. The virtual keyboard is conveniently sized thanks to the large 10-inch display and enables quick and accurate typing even in portrait mode. The touchscreen itself is very precise into the corners and executes inputs without delays. The gliding capabilities are very good thanks to a special coating. The integrated gyroscope works reliably and rotates the picture after a small delay. Another alternative input device for the Transformer Pad TF701T is the optional QWERTY keyboard dock. It can convince us with large keys, decent stroke and sufficient key travel. The keyboard dock also has an integrated battery and additional ports. Contrary to the predecessor Transformer Pad TF700T, the dock is made of plastic and the whole construction is not really torsion-resistant. Otherwise, the two inputs are identical. 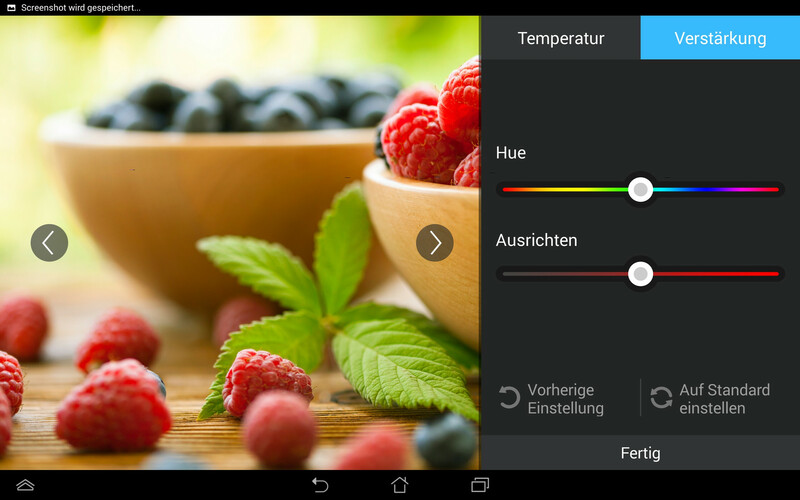 Inputs are quick and accurate; there are also several special buttons, for instance, direct access to the WLAN settings or shortcuts for the browser, Bluetooth and screenshots. The touchpad is comparatively small but works very precisely. 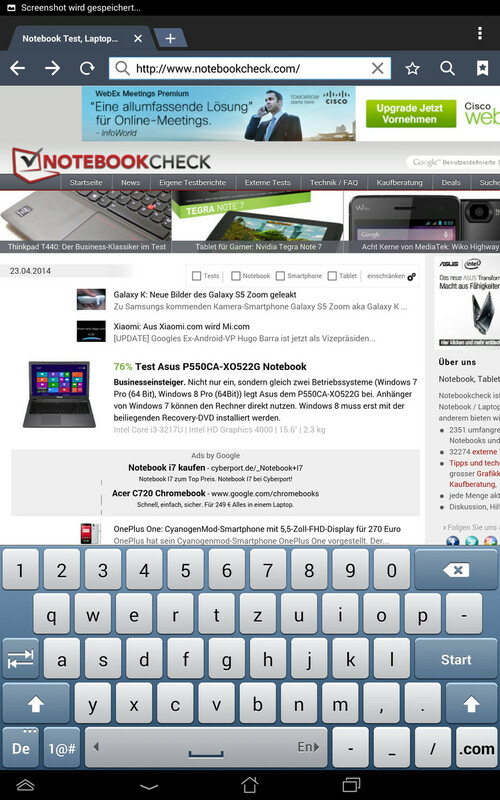 ...full QWERTY keyboard with some special keys. Metal hooks keep the tablet in position, but there is still a little movement. The maximum opening angle is not very big, but sufficient. 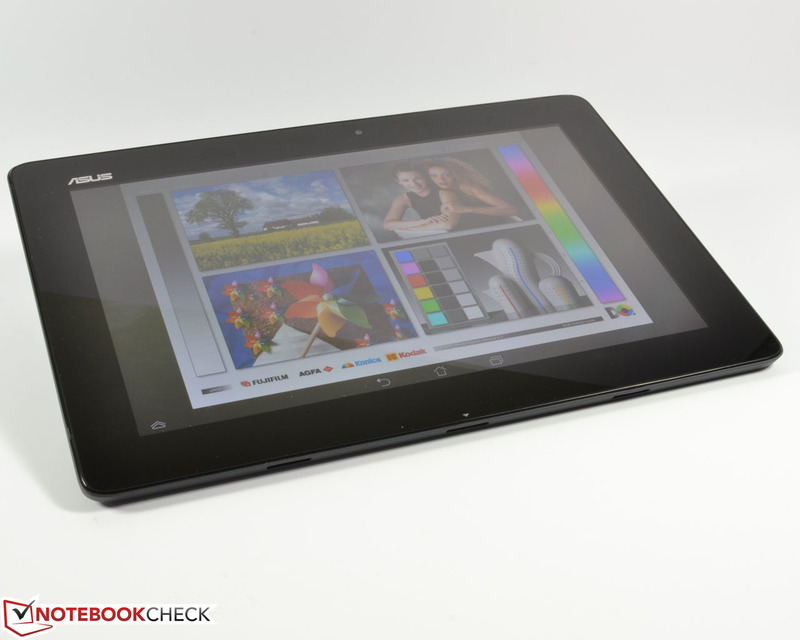 The highlight of the Asus Transformer Pad TF701T is the 10-inch IPS display with a high resolution of 2560x1600 pixels. 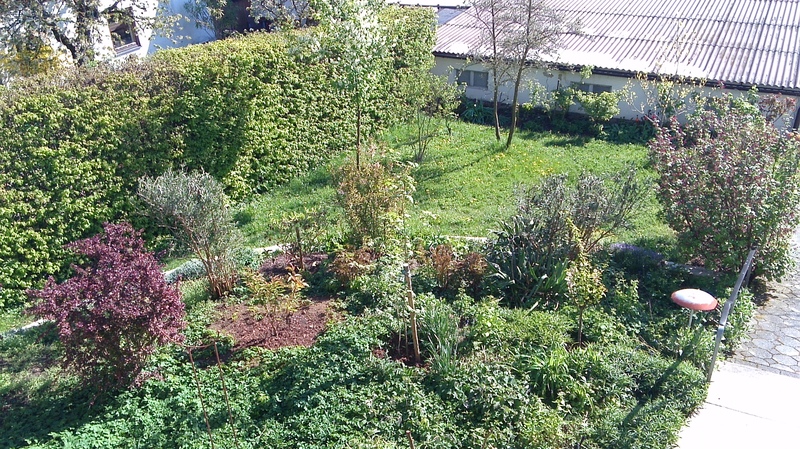 It also has a decent luminance of up to 373 cd/m². In a direct comparison, the Transformer Pad TF701T can only beat the Gigaset QV1030 and HP Slate 8 Pro and cannot keep up with the Samsung Galaxy Tab Pro 10.1 or the Apple iPad Air. The Transformer Pad TF700T is also significantly brighter with 563 cd/m², but the luminance of the review unit is subjectively more than sufficient. The brightness distribution of 82% is only superior to the Samsung Galaxy Tab Pro 10.1, but the human eye cannot see any deviations. The picture is very sharp and can convince us: Pictures, videos and fonts are very sharp, and you almost get a vivid impression. ...can be adjusted in the app Splendid. 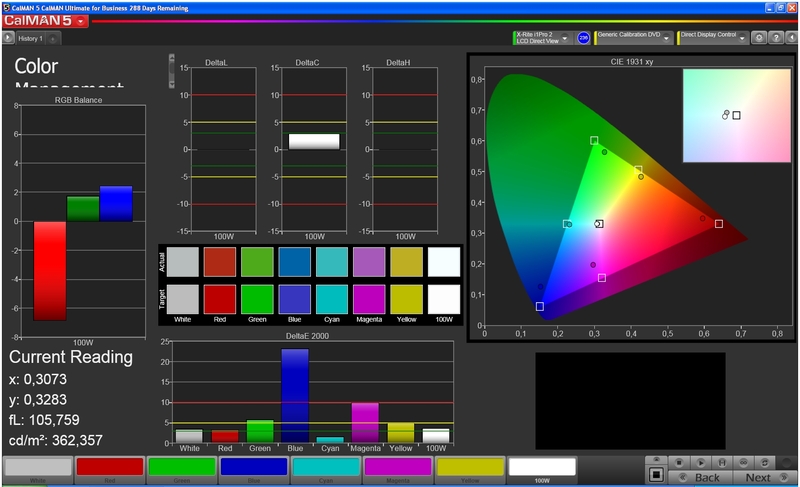 We use the colorimeter X-Rite i1Pro 2 and the software CalMAN 5 to test the colors and the grayscale. Our review unit shows a good grayscale performance with an average DeltaE value of 2.75. 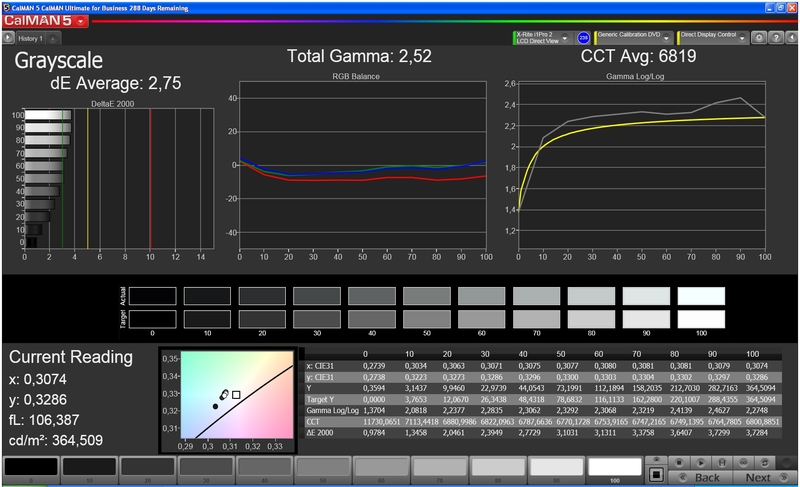 Gamma curve and color temperature of 6819 are also okay. The color calibration is decent ex-works, although the deviation of magenta is clearly too high; blue is slightly deviated as well. The saturation shows a clear deviation for blue colors. Subjectively, you can hardly see these deviations, but picture enthusiasts won't be completely satisfied with the panel. 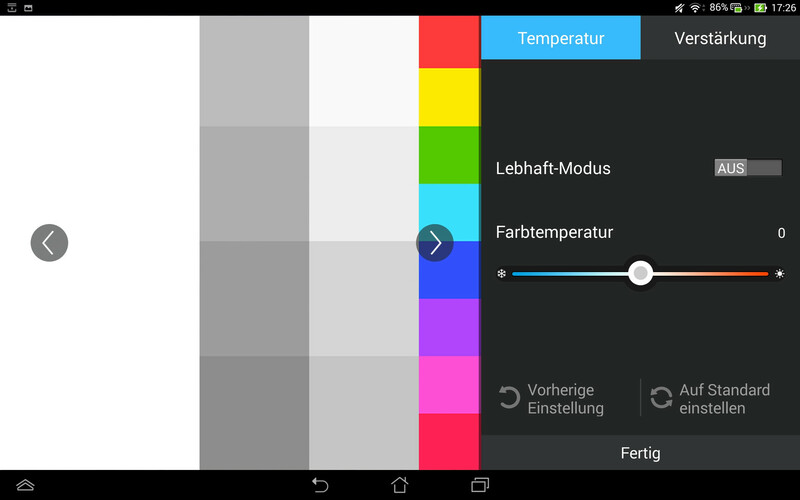 Asus also installs the app Splendid, where you can change the color temperature and color enhancement. 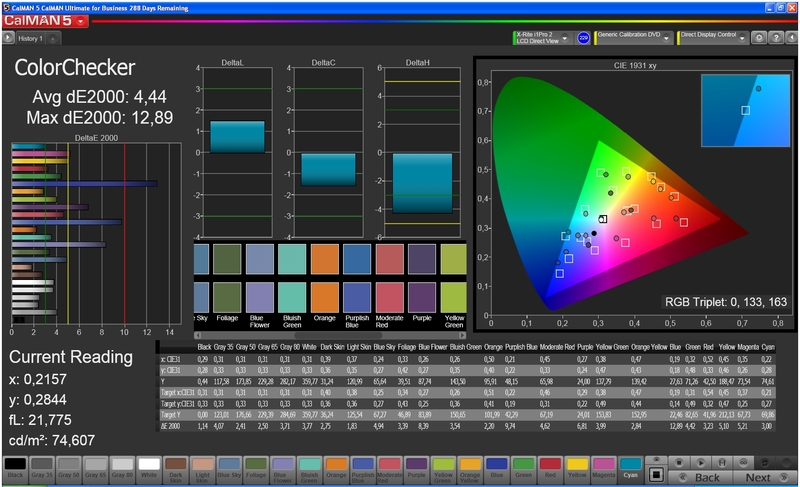 However, the default setting is already the best compromise and results in subjectively rich colors and a good contrast. The great black value of 0.36 cd/m² as well as the high contrast of 1003:1 are important factors for the great picture performance. Blacks are rich, even in darker passages. Similar to the Transformer Pad TF700T, our review unit also has an additional feature for an increased brightness, which is called Outdoor mode. 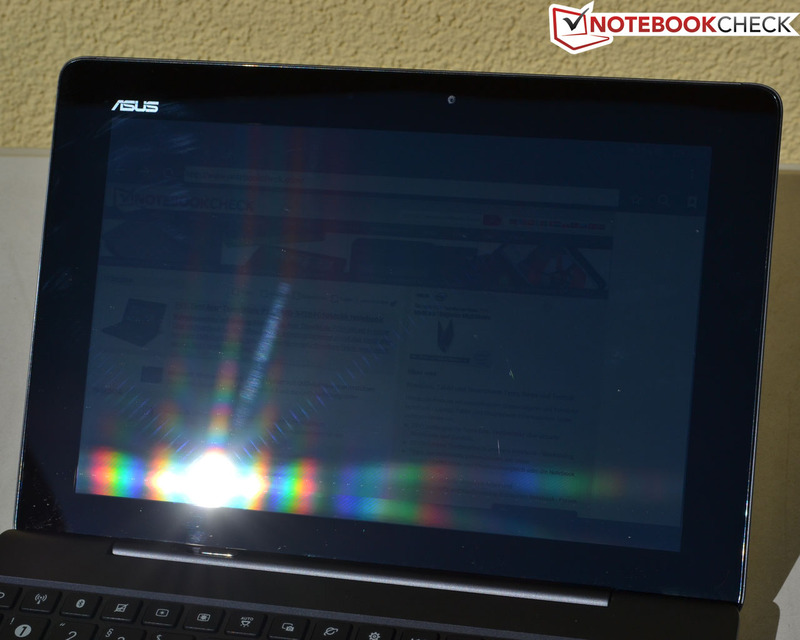 This is Asus' attempt to compensate for the highly reflective display surface and that works pretty well. This means you can use the tablet outdoors, although direct sunlight still creates annoying reflections. As expected for an IPS display, the viewing-angle stability is very good. 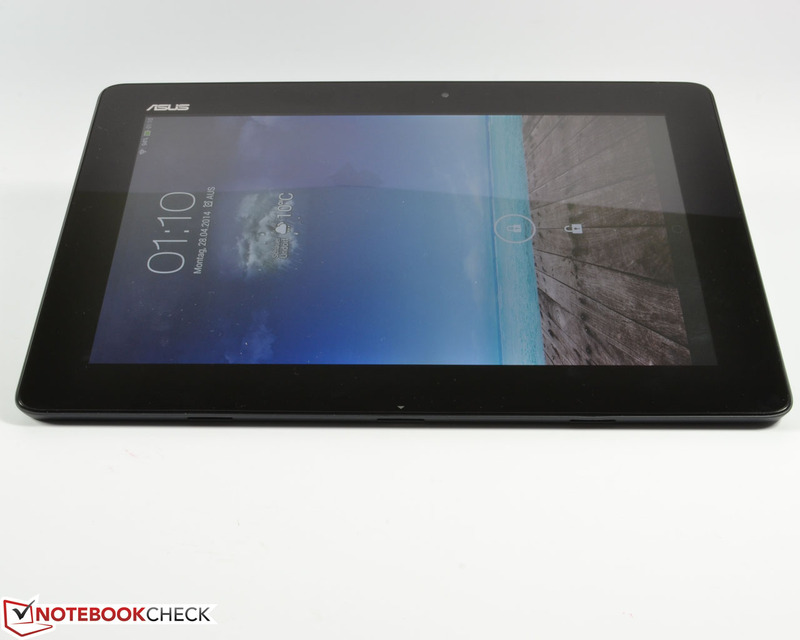 Asus is able to maintain the high level of the predecessor Transformer Pad TF701T. Even very impractical extreme viewing angles of almost 180 degrees do not change the color presentation. 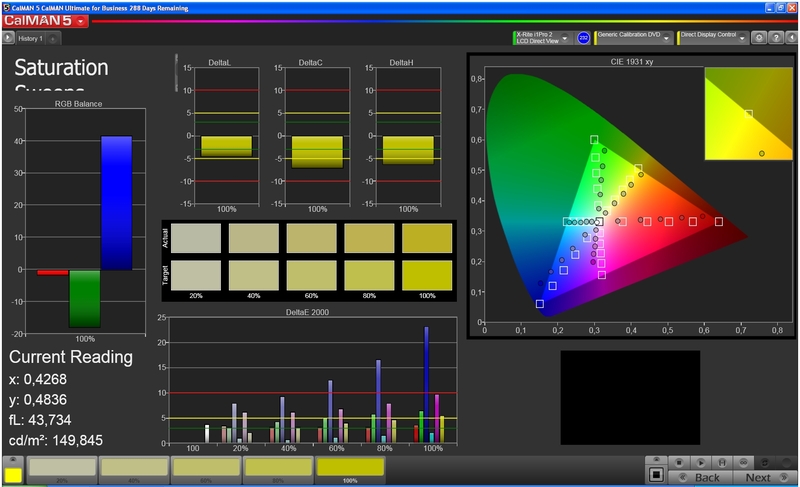 We can only determine a slight brightness and contrast reduction. Asus' flagship Transformer Pad TF701T is clearly a high-end device with an Nvidia Tegra 4 SoC clocked at 1.9 GHz, which is faster than the competition, an integrated GeForce GPU as well as a high-resolution IPS display. The CPU is currently one of the fastest chips on the market. Similar to every other reviewed tablet, the test sample has to face our benchmarks, so we can assess the performance objectively. Let's start with the synthetic benchmarks. 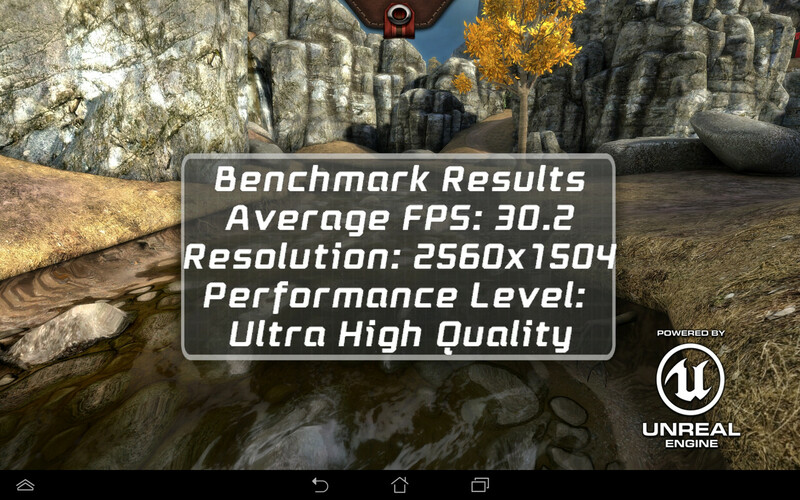 The system performance is very high, which is supported by the high AnTuTu Benchmark v4 result of 32,335 points. 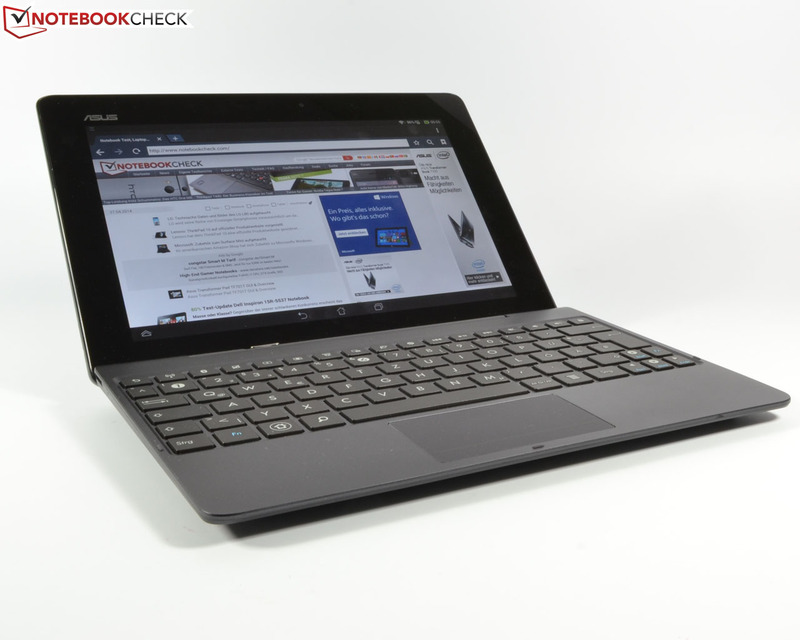 Only the Wi-Fi version of the Samsung Galaxy Tab Pro 10.1 can beat our review unit. Linpack shows a better performance for the contenders, although only the Apple iPad Air and Samsung Galaxy Tab Pro 10.1 can manage a clear lead. Smartbench 2012 also shows the good performance of the SoC; only the Samsung Galaxy Tab Pro 10.1 is better. Our next section covers the graphics performance. GFXBench 2.7 shows that both the Apple iPad Air and Samsung Galaxy Tab Pro 10.1 are once again ahead, but the Gigaset QV1030 falls behind. The Transformer Pad TF701T can show a really good performance in 3DMark Ice Storm and is faster than the rivals in almost every test – even in the very demanding Extreme scenario. Only Apple's iPad Air can take the lead in the standard GPU test. We could not launch the GFXBench 3.0 due to the missing OpenGL-ES-3.0 support, and Geekbench 3 also crashed repeatedly. 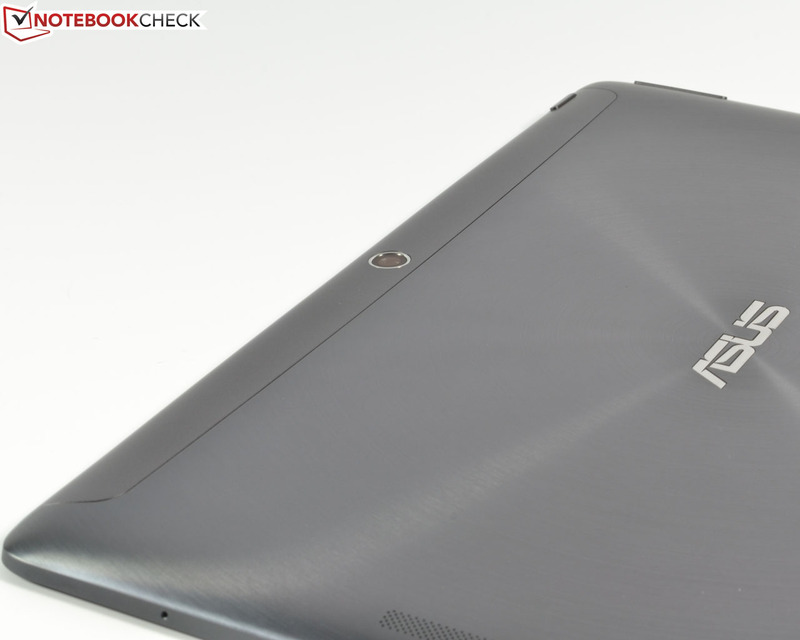 The Transformer Pad TF701T leaves a mixed impression in the browser benchmarks. Especially the top device Apple iPad Air shows what's possible. 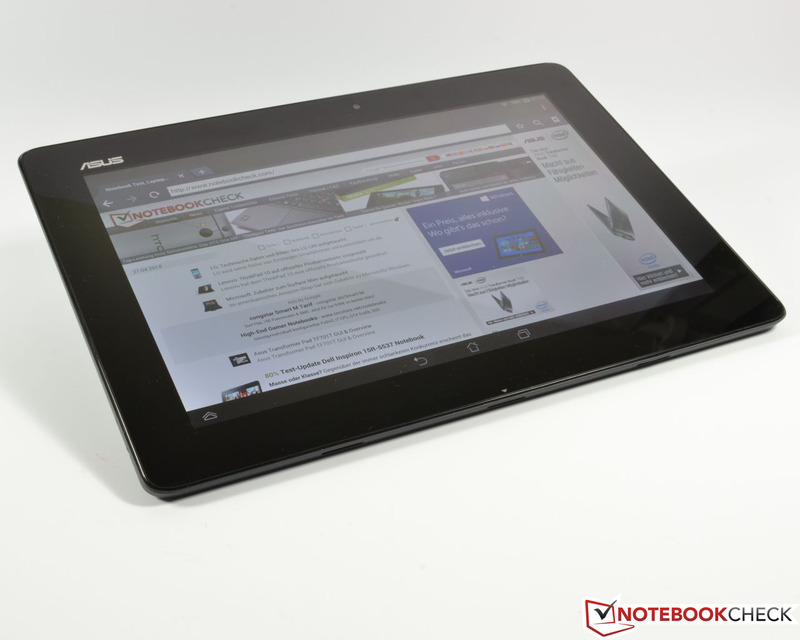 Otherwise, it can only beat the Samsung Galaxy Tab Pro 10.1 in some tests but falls behind the other rivals. The only exception is the SunSpider benchmark, where our review can beat all rivals except for the Apple iPad Air. AndroBench 3 determines a good performance of the internal storage inside the Transformer Pad TF701T, only Apple's iPad Air is faster. It is almost a tradition for Asus to use Nvidia products. Our review unit is powered by a combination of Nvidia Tegra 4 and an integrated GeForce ULP graphics chip – and the result is more than acceptable. 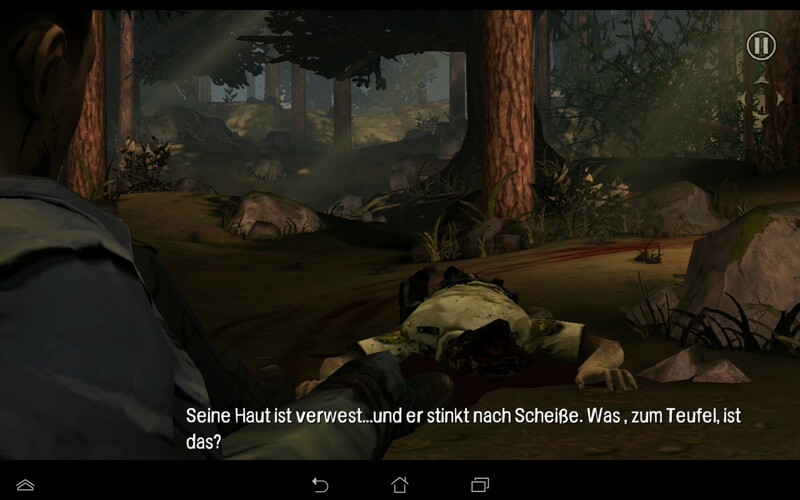 It does not matter if you play Dead Trigger 2, The Walking Dead or Angry Birds Go! – there is currently no game that can really stress the tablet and the situation is probably not going to change for a while. QFHD/4K video playback is no problem, either. 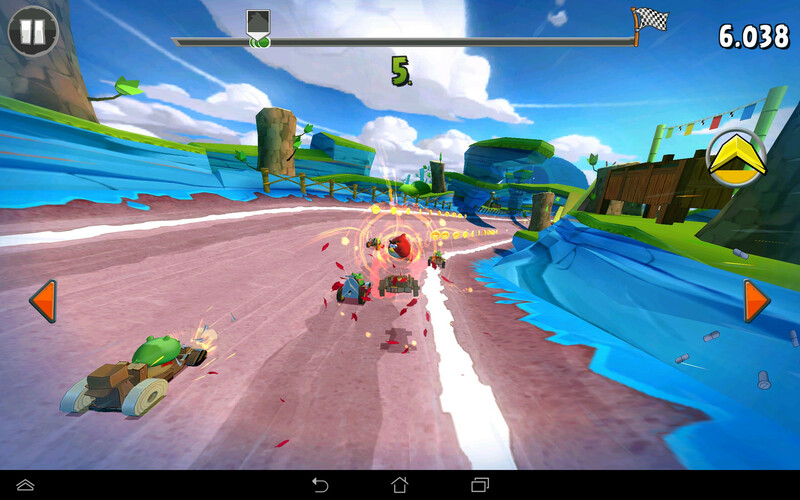 Gaming on the Transformer Pad TF701T is really enjoyable. The experience really benefits from the exact touchscreen control as well as the position sensor and accelerometer. 4K/QFHD videos are no problem. The surface temperatures of the review unit are exemplary. We can only measure up to 37.5 °C at some spots, even after our stress test with maximum load for the CPU and GPU after a couple of hours. Our measurement device shows an average temperature or around 32 °C, and the device does not exceed the 30 °C mark during idle. The temperatures of the power adaptor are uncritical as well. Asus promises "Supreme Sound with the SonicMaster technology" from the dual speakers. However, a look at the back of the case only reveals one speaker grille. This obviously means there is no stereo effect. It still sounds comparatively good but cannot keep up with devices with speakers at the front, for example, the Nvidia Tegra Note 7. Music playback is not really enjoyable because of the pretty thin sound, but it is still sufficient for the occasional YouTube video. However, the sound via HDMI or the 3.5 mm stereo jack is really good with a high maximum volume – at least if you have adequate speakers or headphones. Asus now uses the less frugal Tegra 4 SoC and equipped the Transformer Pad TF701T with a larger lithium-polymer battery compared to the predecessor (25 Wh) to compensate for the higher consumption. The review unit has a 31 Wh battery, but there is also an additional 16 Wh battery in the optional keyboard dock. The overall battery capacity is therefore 47 Wh – not bad and it even surpasses some subnotebooks. The power consumption of our review unit is decent when you consider the performance and the large display. 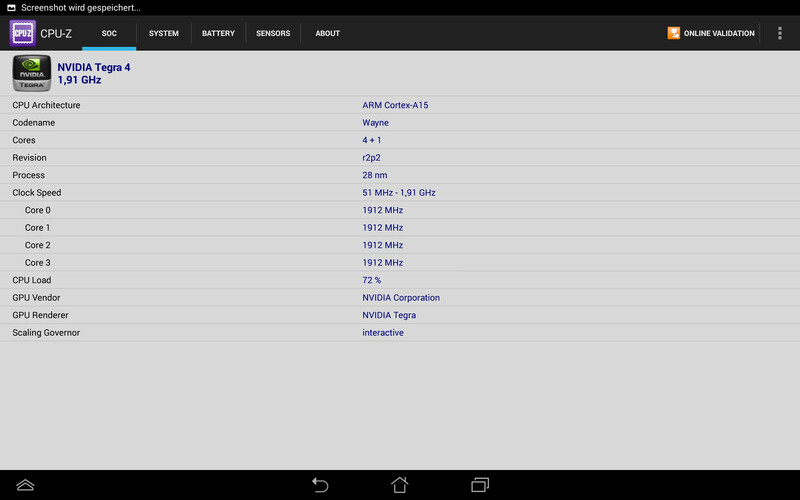 It actually consumes less than the rivals during idle, but the situation changes under load, where the TF701T consumes slightly more than other Tegra 4 tablets. The predecessor Transformer Pad TF700T set the bar very high in this section. As a result, our expectations for the TF701T were pretty high as well, especially when you consider the larger 31 Wh battery. We were not disappointed. The maximum runtime is determined with a reading script at minimum display brightness and with activated energy-saving features, and the review unit can completely convince us: 15:42 hours is a phenomenal result. Our practical WLAN test with an adjusted brightness of 150 cd/m² uses a script that automatically refreshes websites. The tablet managed a good runtime of 6.5 hours. Still, all the rivals run longer, Samsung's Galaxy Tab Pro 10.1 in particular is a marathon runner. Maximum load, which is simulated by the app Stability Test with maximum brightness, drains the battery in 3:47 hours. A very good result – only the Apple iPad Air is a bit more enduring. If these runtimes are not sufficient, you can use the keyboard dock. We determined the WLAN runtime with the additional battery capacity, and the result was 12:16 hours. A long business day without a socket is therefore no problem. Let's get to the verdict. 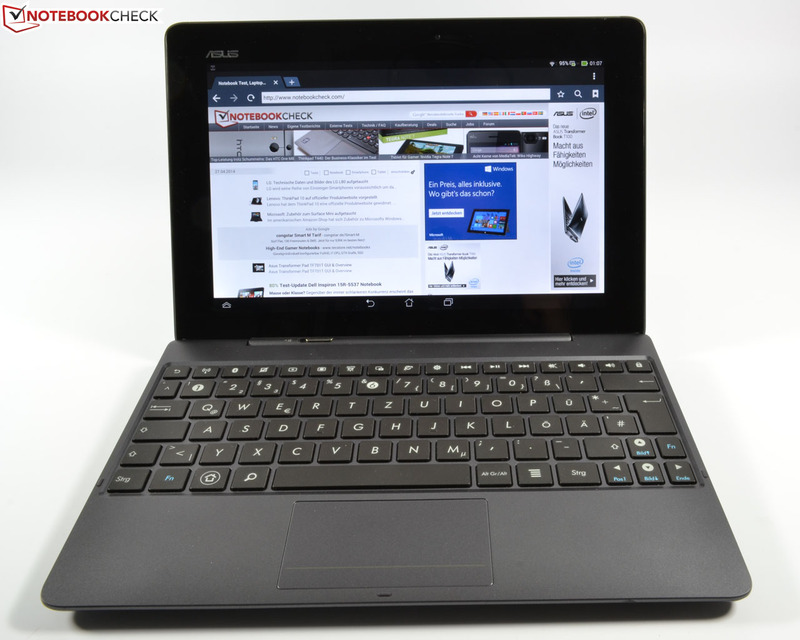 We really like the Asus Transformer Pad TF701T: Asus offers a convincing package with its new 10-inch flagship device, which cannot beat the great Apple iPad Air or the Samsung Galaxy Pro 10.1, but it can definitely keep up with the competition. 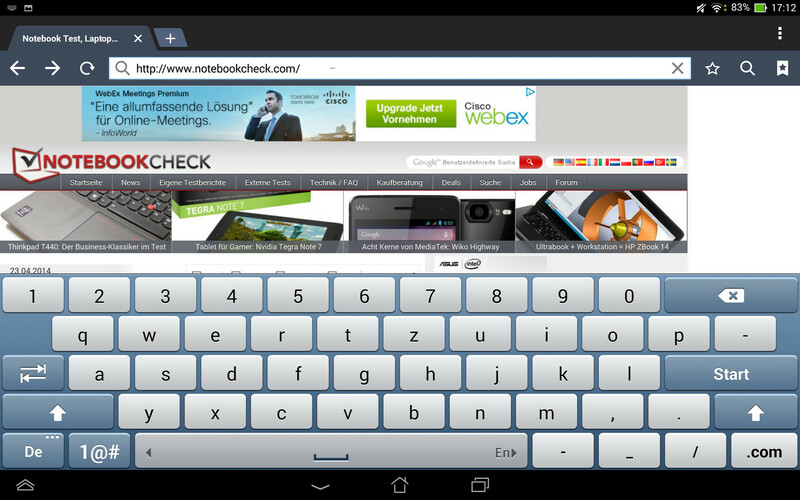 The provided keyboard dock is a real enrichment for the tablet since it improves the already very good battery runtimes as well as the handling and offers additional ports. 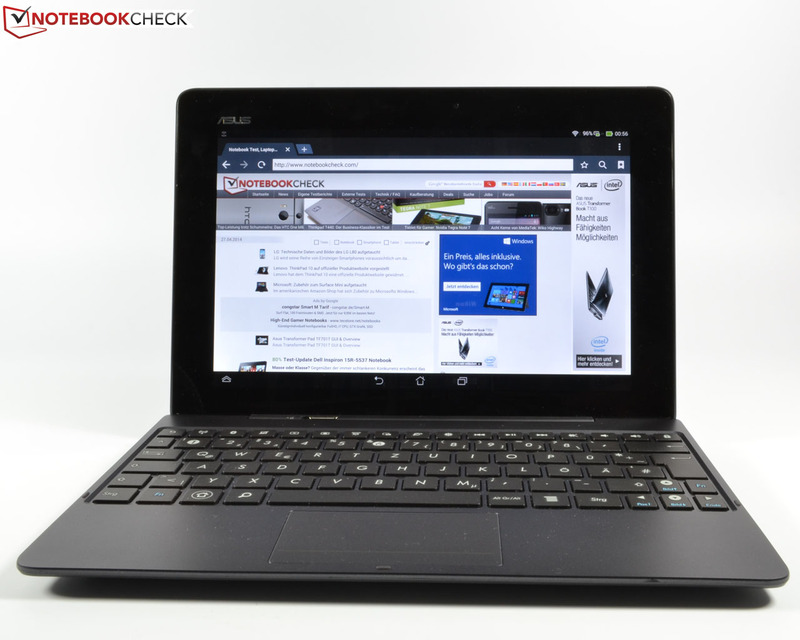 You can currently buy the review unit for around 480 Euros (~$668) – a very fair price for the tablet. Because of the many positive aspects we can fully recommend the tablet. 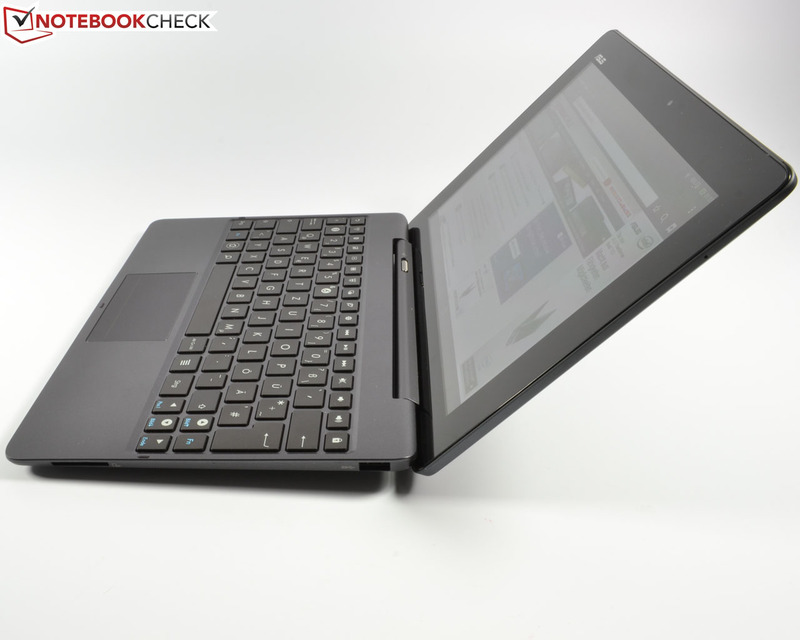 The Transformer Pad TF701T with the keyboard dock might also be an interesting choice for business users. The scope of delivery is pretty average – except for the keyboard dock. 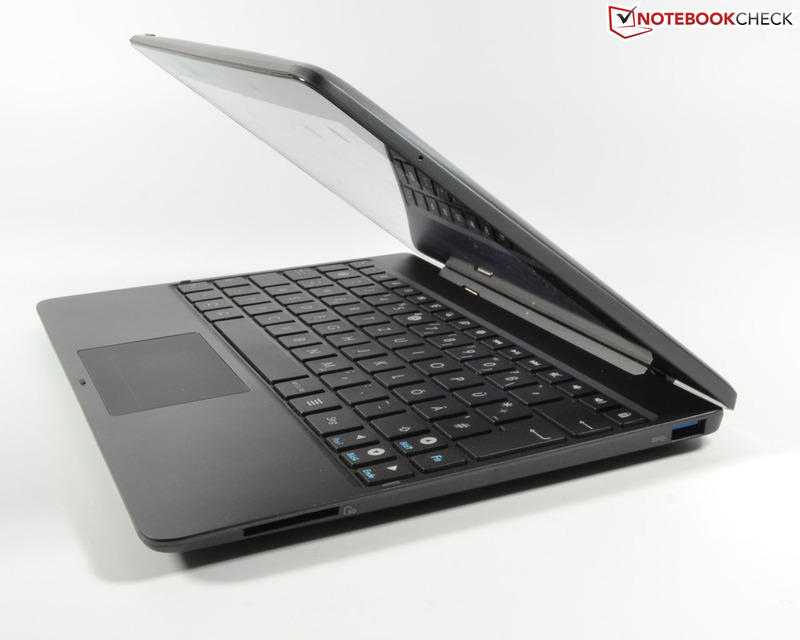 In combination with the keyboard dock, the Transformer Pad TF701T can compete with some subnotebooks. The display hinge keeps the display well in position, but the latter can move quite a bit. 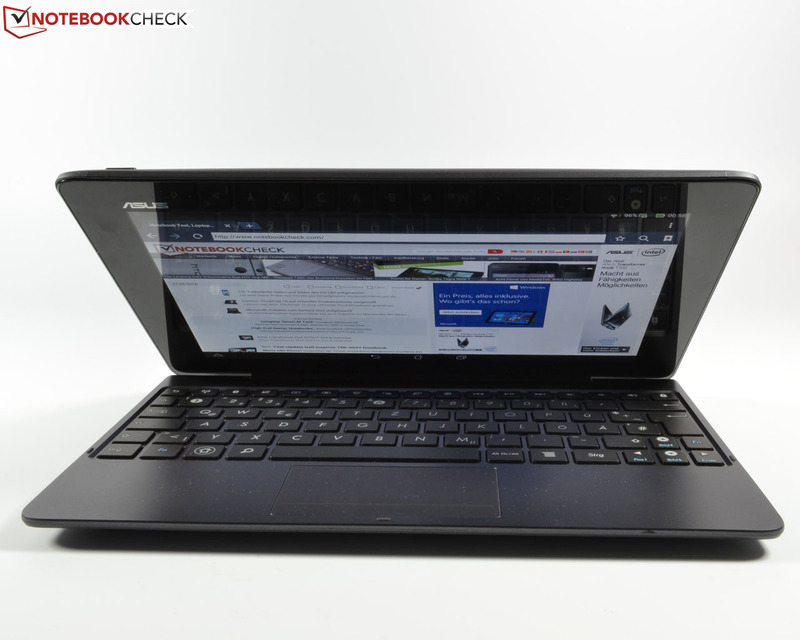 The back cover of the Asus TF701T is slightly rounded towards the edges. It also accommodates the speakers. The build quality is on a very high level. Sophisticated port layout with sufficient spacing. 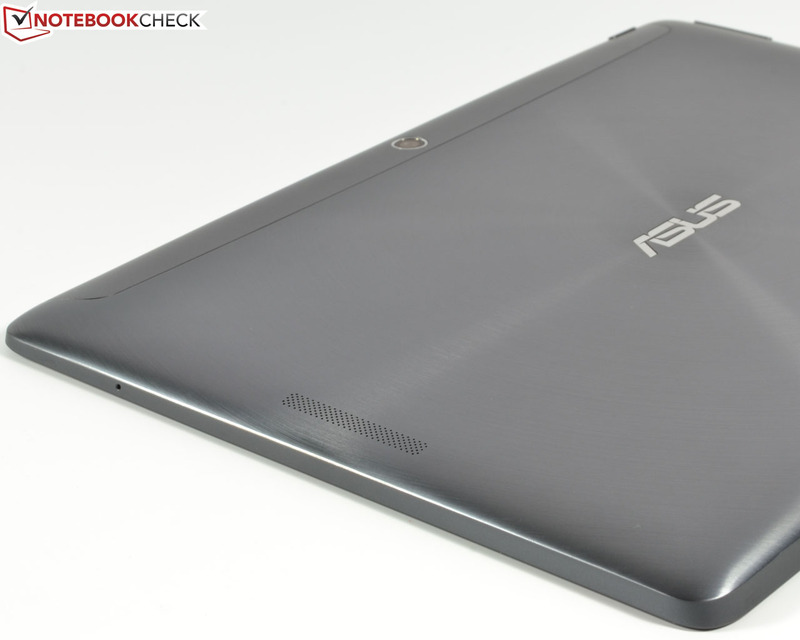 10-inches, multitouch and IPS technology. Subjectively, the display can convince us, despite some drawbacks in regard to the measurements. 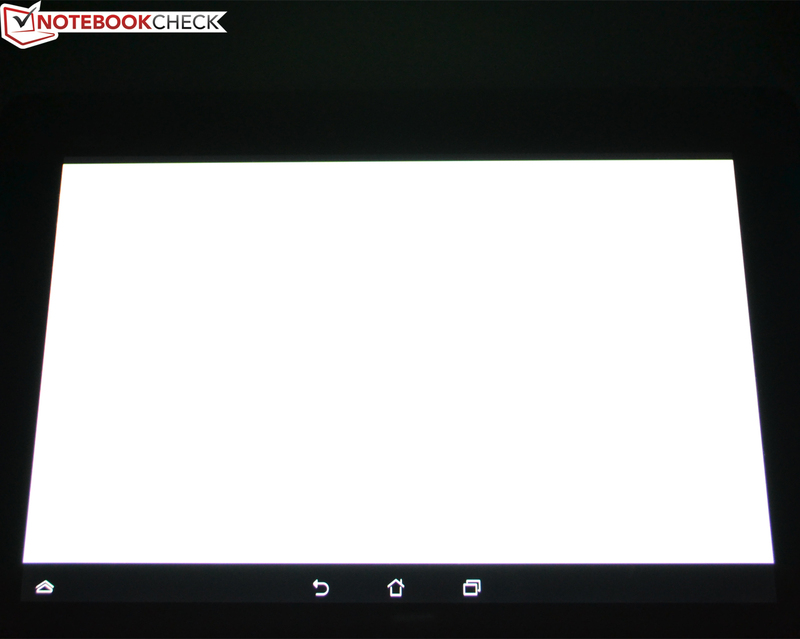 We can see a slight glowing, which is typical for IPS displays. No deviations on a plain white background. 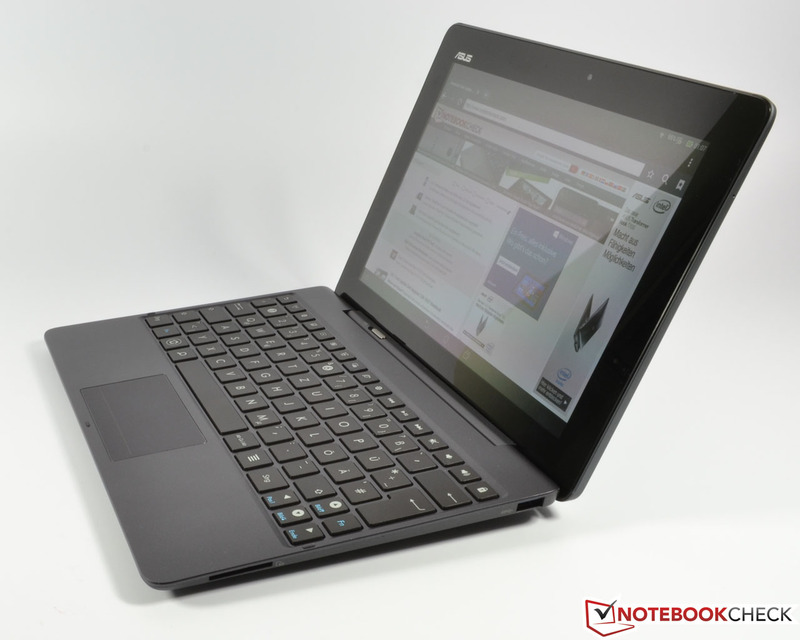 ...the Asus TF701T becomes a serious machine for web-browsing and working. 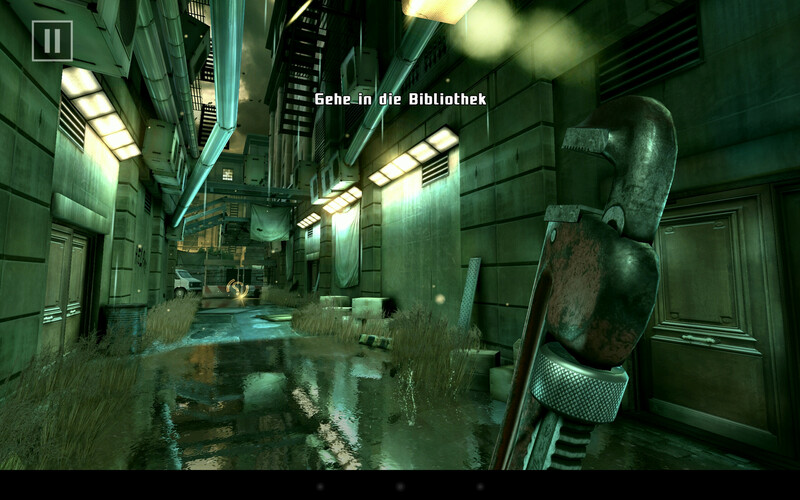 ...works a fast Tegra 4 SoC from Nvidia. It offers sufficient performance for all kinds of tasks. The display bezel could be smaller. ...additional ports and an additional battery in return. Fast USB 3.0 is also available and can be used for accessories like memory sticks or keyboards. The high application performance, the good IPS display and the keyboard dock. A micro USB port at the tablet itself. The battery runtimes with the additional battery from the keyboard dock.